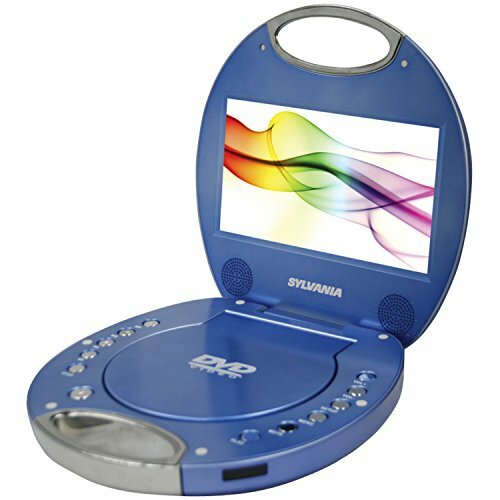 Watch your favorite DVDs on the go with the Portable 7" DVD Player by Sylvania. Its stylish design allows you to easily carry it just about anywhere you go. No more lugging around the DVD player for your kids, as now they can carry their own! Plus, let your friends gather around to watch, or plug in the included stereo earphones for more private viewing. This Portable 7" DVD Player is great for long rides in the car or plane trips. Its vibrant colors will be noticed.